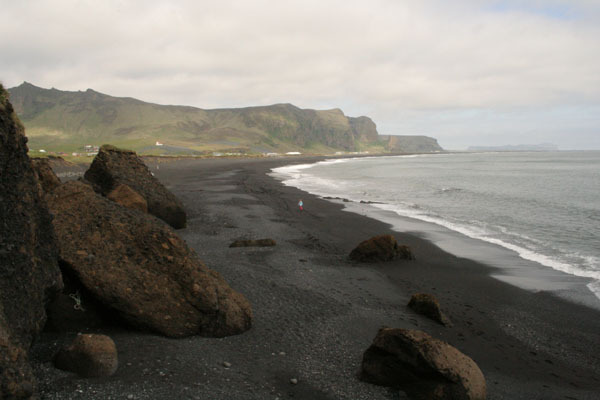 The black sand beach in Vik. 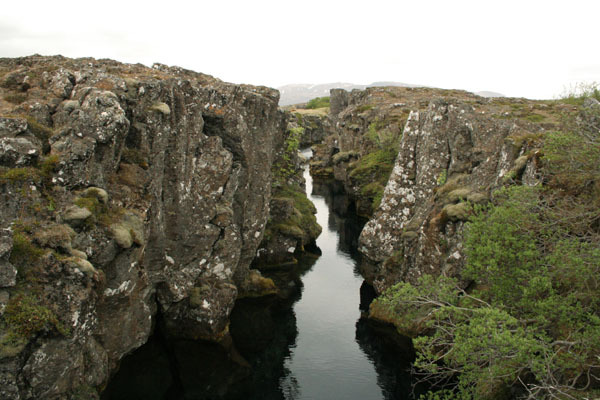 As the tectonic plates drift apart, cracks open on the surface, and then collapse, l eaving huge fissures like the ones that characterize Þingvellir. 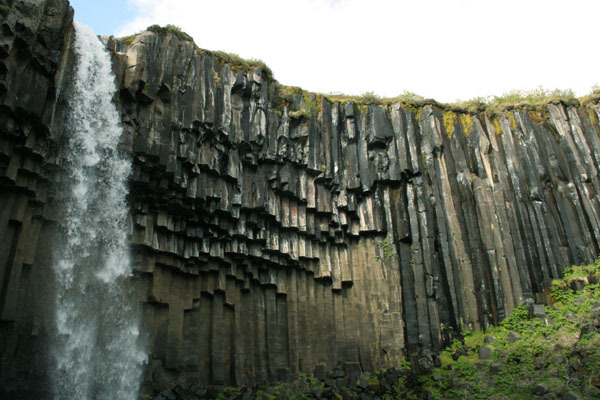 The huge, hexagonal basalt columns at Svartifoss are formed when lava flows crystalize as they cool. 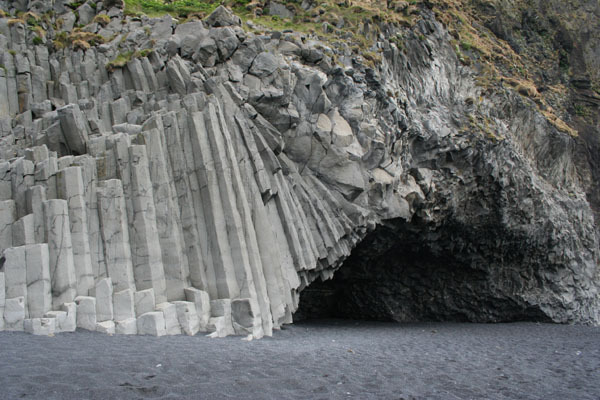 See also the baslt columns at the black sand beach in Vik. 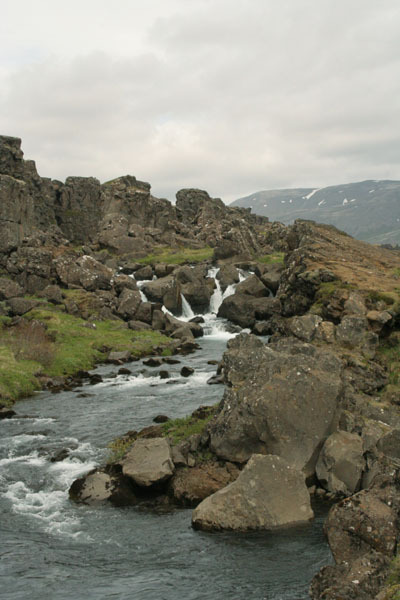 Due to the volcanic origins of Iceland, basalt is the most common type of rock in Iceland. Depending on the type of lava flow and how it cools, basalt may form characteristic shapes, like these impressive hexagonal columns on the black sand beach in Vik. 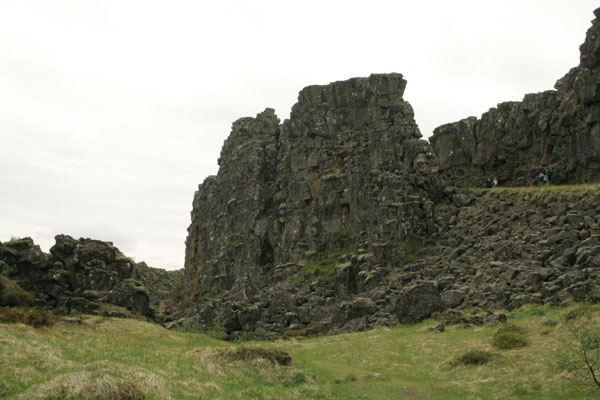 The rocks around Svartifoss are another great example of such basalt columns.